Let’s Interview: Nintendo YouTuber Nathaniel Bandy! As you likely know, we’ve intended a lot of people here on Gaming Reinvented. We’ve talked to game developers and industry figures about their work, with our interviews with Grant Kirkhope, Tomoya Tomita and Randy Linden bringing up dozens of interesting facts about the games they’ve worked on. We’ve talked to fan game devs and modders, with everyone from Kaze Emanuar to Captain Southbird having discussed their background in game development and their visions for future works. And when you add other figures and communities we’ve talked to here (like the Source Gaming staff and REGNR8), it’s clear we’re willing to talk to all manner of interesting people about all types of communities and scenes. But the most common is the YouTuber one, and that’s what today’s interview is all about. Yep, this time we’ve got another major gaming YouTuber willing to talk about their work here on Gaming Reinvented, with Nathaniel Bandy discussing Super Mario 64 mods, video game challenges and the intricacies of YouTube business practices with us here at the site. It’s a fantastic channel with a great array of interesting videos, and one that has something for just about everyone. So let’s talk to Mr Bandy and see what he has to say about it. It’s gonna be quite the interesting ride! Starting with a bit of background information. So, first things first. Can you give a bit of background about yourself? Who are you as a person? Hello! 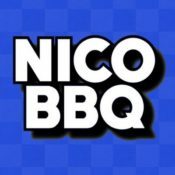 I’m a Nintendo themed content creator on YouTube and I stream on Twitch as well. The most interesting background about myself is that I travelled a lot as a kid. I was a military brat and lived in several states, as well as Norway for a short period of time, so I’ve experienced a lot of different types of people and cultures throughout my life. 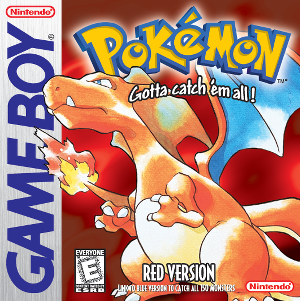 When I was 6, I got a Game Boy Color for Christmas with the games Pokémon Red and Super Mario Bros Deluxe. I loved these games and was pretty much hooked. There was a phase in high school where I played nothing but Guitar Hero and Rock Band, but for the most part I’ve played Nintendo games since I was young. What about your first game? What was it? 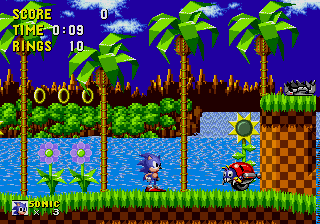 My first game was Sonic the Hedgehog on the Genesis, but I was only 3 years old so I don’t really remember playing it that much. And given your channel has a clear Nintendo focus, how did you get interested in Nintendo and their games anyway? I’m probably bias, but I just always found Nintendo games to be the most fun and have the most charm. I do enjoy some PlayStation exclusives like The Last of Us, but there’s just nothing like Mario or Mario Kart. What about the Mario series? What was your first game there? 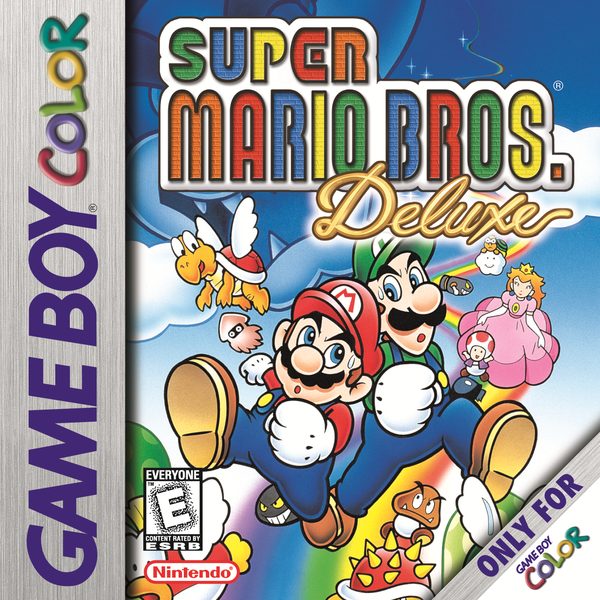 My first Mario game was Super Mario Bros Deluxe on the Game Boy Color. Either way, onto some mods and fan games now. How did you first get interested in playing fan games and hacks? When I was in college, I randomly stumbled upon this game called “Super Mario: Star Road” and saw this guy SimpleFlips speed running it. What about Mario 64 ones? What was your introduction to that scene? I thought it was fascinating that a game like Super Mario: Star Road existed, so after watching him play through a bit of it, I downloaded the game myself and was blown away by how fun it was. This was also around the time that I was ready to try new types of content on my YouTube channel, so I started uploading Mario ROM Hack/mod videos and they did way better then I would’ve ever expected. Still, your focus here definitely seems to be on mods for 3D Mario titles, like Mario 64, Galaxy, etc. Why is that? Why do you seem to prefer hacks of the 3D titles rather than the 2D ones? 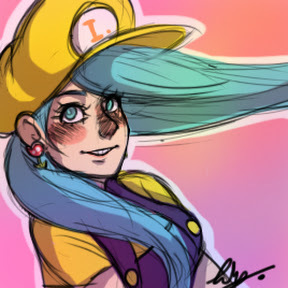 I don’t know if I would say it’s a preference per se, I do enjoy 3D and 2D Mario a lot. I do think that the 3D Mario games are more creative though overall and offer a lot more new gameplay experiences, especially considering people like Kaze Emanuar and Skelux exist which program things into Mario 64 that have never been done before. It’s incredible how much progress has been made in some of these communities. Mario 64 ROM Hacking has exploded because content creators like myself, SimpleFlips, and Hobo Bros are constantly making videos, which brings in tons of new viewers all the time and the cycle just kind of continues. I know the Super Mario World ROM Hack community is pretty big too, as well as the one for Mario Kart Wii CTGP. Absolutely, Super Mario 64 Online is now a huge part of my life because it allowed me to make some of the best friends I’ve ever had through the Hobo Bros 10v1 videos. Like I said earlier, it’s because of channels like mine and others similar is the reason Mario 64 modding has gotten so big. Either way, let’s talk a bit about YouTube now. What made you decide to start a channel anyway? I randomly made a YouTube channel in 2007 and just uploaded whatever. Around senior year of high school, I decided to take it more seriously and forced myself to upload consistently. And eventually, a few videos picked up traffic and the rest is history. Did you have any other ideas for channels before settling on your current one? I didn’t, 2007 was a very different era for YouTube. Nobody made YouTube channels to be “Famous” or to “Make Money”, it was purely just for the craft of making videos; the mindset is the total opposite now for most people. And why did you decide to make Nintendo your main focus anyway? Well I tried out tons of different types of videos, and I was one of first few to make Nintendo themed Top 10’s. I think without realizing it, I kind of sparked a niche of Nintendo themed Top 10’s, like back in 2010-2012 nobody was making “Top 10 Hardest Mario Kart 64 Tracks” or “Top 10 Easiest Super Mario Galaxy 2 Green Stars” or things like that. Because those Top 10’s picked up, I just kind of stuck with Nintendo. A common theme in your videos seem to be challenges, with things like beating super hard Mario 64 mods and racing Mario Kart tracks backwards being some of the more popular videos there. What got you interested in making all these challenge videos? Most of the time I just come up with random ideas off the top of my head. Usually when I’m not working, my brain drifts away and comes up with videos that I believe would be fun to watch. Sometimes I’m inspired by others challenge videos as well. What about the Mario Kart ones in particular? What made you decide to try and see how many courses you could complete backwards in each game? I don’t even know why this Series does so well on my channel. The only reason I made them originally, was because at the time, I was about to move from my tiny apartment into a condo, and I needed to make lots of videos ahead of time so I could still have videos ready while I was taking the time to move. And I thought these Backwards videos would be easy to make but fun to watch. And it’s a concept that’s just kind of stuck. Either way, your skills have improved significantly in the last few months or so, with stuff like Tick Tock Clock 2.0 looking insanely hard from my perspective. Are you surprised you’re able to beat all these tough challenges now? I don’t think I’m that good at Super Mario 64 but I appreciate the praise. I do think I’ve gotten a lot better at the game over the past few years though, and that video in particular I had to practice the levels a lot to get all of the stars. Are there any you simply couldn’t complete? Perhaps to the point of scrapping a video in progress? I think I didn’t get 2 of the stars from the Tick Tock Clock, but on the topic of scrapping videos I’ve done that several times. There’s even some videos I’ve poured several hours into but ended up scrapping because it wasn’t turning out how I thought it would. Outside of the challenge videos and hacks, you seem to have made a few videos on game concepts too. Were you the kind to always come up with ideas for video game levels when younger? I think I’ve always enjoyed coming up with games inside my head, I remember in middle school me and a friend wrote down pages of ideas for new Smash Bros games (I bet some of those crazy ideas have actually happened since Sakurai is a mad man!). Have you ever actually tried to build these levels? Like in Super Mario Maker, or a ROM hacking tool? I have not, but I think game design would be really fun to pursue one day. The problem is it’s very time consuming, and I don’t really have free time since 90% of my day is working on YouTube videos. You’ve also got a few podcasts going there too, such as the Digicast. What inspired you to start up that? The Digicast was a podcast between me and 2 other friends. Funny enough, that’s not even my podcast; it started on my friends channel (indiejacob) and we brought it to my channel to try to bring in more viewership, but that didn’t really work out. We made it just because we always talked about interesting things just hanging out, and decided to record it for YouTube. And how do you find stories to talk about there? Just whatever news you feel is interesting at the moment? The Digicast wasn’t really structured, we usually talked about news or did Q&A questions. The problem is podcasts just don’t work that well on YouTube unless you’re already a big channel, so that’s why we stopped it a while ago. Still, given the variety of content on your channel, I suspect you’ve got a few interesting ideas up your sleeve. So what concepts do you have for future video series? Well I have to keep new video series a secret 😉 I know it’s not really a good idea to swap out content because it might turn away new subscribers if they enjoy something specific you cancelled, but it’s been working for my channel for years now and don’t plan on stopping anytime soon. And it helps keeps things fresh too, you gotta adapt to survive on this platform. No, I’m still baffled that many people are subscribed to me. All of my friends and family can’t believe it either. And what about the collabs/team up videos? Did you ever expect you’d get to make videos alongside so many other major names in the YouTube community, such as Stryder7x, Antdude or Haedox? Definitely not. I still remember having 10,000 subscribers and collabing with my channels my size at the time, and it’s strange that I’m now a moderately big channel. Outside of YouTubers you’ve worked with, what other channels do you watch? I watch several. Some of my favourites include Nintendrew, SMG4, Arlo, Cinemassacre, IntroSpecktive, SimpleFlips, and dozens of others. Any smaller ones you feel need more attention? MayroSMM has lots of potential, he comes up with some really creative Mario themed challenge videos. There’s also tons of SFM channels like MJacobBarker, Shining NOVA, Poool157, and others that deserve way more attention. You also seem to be a member of a gaming YouTuber group known as The Minus World too. How did that come about anyway? Minus World came about because of Super Mario 64 Online! I was originally contacted by Hobo Bros member Kevin, he asked if I knew any other YouTubers to do this “10v1” video with, so I knew almost everyone from Minus World and brought us all together to record these videos. And we just happened to connect so well that we decided to start Minus World as the first official Nintendo YouTube group. And how has it helped with your channel, or creating videos in general? It has helped tremendously. Being as there’s 10 channels in the group, at any point in time your name and content is being spread around through the groups channels, and this has helped everyone. Everyone’s sub growth and view growth has grown a lot since we made the announcement. Regardless, YouTube is… in an interesting place at the moment, and many people are worried about falling ad revenues on the platform. Do you have a backup plan in case it isn’t profitable to post videos there? I have a few backup plans. Plan B would be to migrate to Twitch and see if I could make it as a streamer. If that doesn’t work, I would use my bachelor’s degree and get a job in the area. What about Twitch? You’re already a partner there, but do you think it may replace YouTube as your main platform at some point in the future? I don’t know if anything could topple YouTube. Twitch is the only site that has a chance at competing, but only in the gaming category. YouTube has giant audiences with other interest imaginable like vlogging, cooking, cartoons, news, drama, etc. Twitch would need to expand their communities as well as their video platform to have any sort of chance of competing with them. Finally, what advice would you give someone wanting to start a new YouTube channel today? My advice is to only make YouTube videos as a hobby, at least to start. Don’t have expectations that your channel will do well, otherwise you’ll get discouraged if you don’t get lots of views right away and you’ll quit. If your channel does start to pick up traction, then you could consider making it a full-time gig, but realize all the sacrifices you have to make. Full-time YouTube means you do your own taxes, pay for your own health insurance, work every day with no breaks, and get used to being isolated working at a computer. I don’t mean to make YouTube sound like a horrible job because it isn’t, but it’s really only worth it if you’re truly passionate and dedicated to creating videos. And that’s a point we 100% agree with. Remember, running a YouTube channel as a full time job is not all fun and games. It’s work; like running any kind of small business is. So if you’re going to get involved like that, think about it all very carefully. How much money do you need to maintain your lifestyle? How high is your rent/mortgage compared to the money you make on Patreon or through YouTube ads? Because that money you make… is nowhere near as generous as it first appears. Trust us; we know from experience. As do all four million people who struggled on Kickstarter and Indiegogo after running a ‘successful’ campaign. Like those guys behind Lobodestroyo. They nailed their campaign goals and got the chance to make their dream game, only to realise that $80,000 is nowhere near enough to run a game development studio full time. Don’t end up in that situation. Check your ad revenue and Patreon income, work out your cost of living, and then only jump to making YouTube your full time gig if the costs play out correctly. Cause as Nathaniel Bandy says, it’s a business. And like any other business, it’s a tough task that comes up with a dozen sacrifices and a serious amount of hours needed if you want to make it to the top. Still, what did you think of the interview? 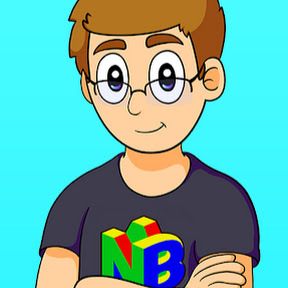 Did you enjoy reading about what goes into Nathaniel Bandy’s YouTube videos, or his thoughts on the status of fan games and ROM hacks? If so, subscribe to him on YouTube and other social media sites, then leave us a comment with your thoughts here in the comments today! If you need help finding said social media profiles, you can find them in the list below this article.